Numerous archaeological finds show that people have been living in the Riva San Vitale area since Neolithic times. The Ligurians, Etruscans and Celts were followed by the Subinates people, to whom we owe the first name for the village, Primo Sobenno (774). 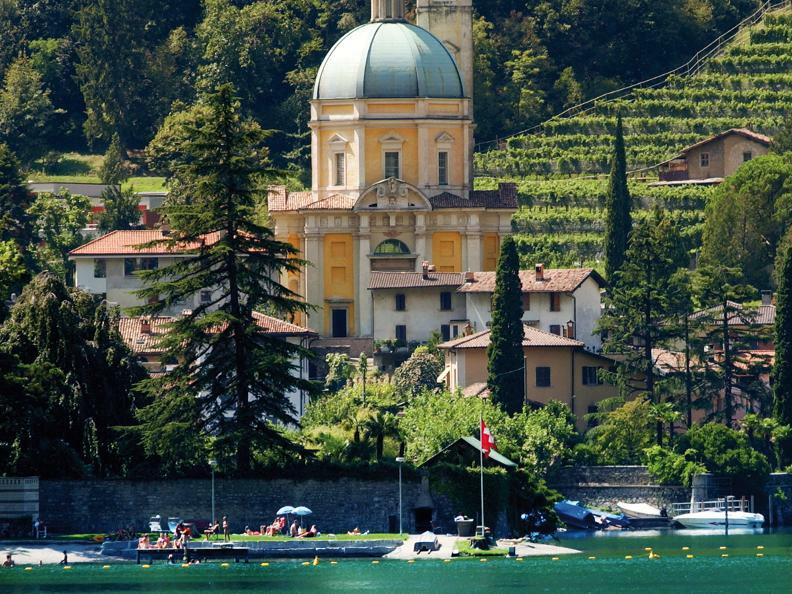 The Romans had classified Riva as a vicus (village), but with the spread of Christianity (4th – 5th century), this lakeside village became a strategic town within the region. Eventually it became known as Ripa Sancti Vitalis (1115). With the creation of the Pieve di Riva (parish of Riva, one of the oldest in the Diocese of Como), the town became a hub of Christianity in the Ticino area. The parish formed a consortium with those of Uggiate and Balerna and then, in the 15th century, joined with those of Agno, Balerna and Capriasca to form the Community of the Valley of Lugano, which, in turn, became the Bailiwick of Lugano in 1517. Towards the end of the 18th century, tensions between supporters of the Cisalpine Republic and the Swiss Republic led to the setting up of the Republic of Riva. This included all the towns within the Pieve, but proved to be short-lived (23rd February – 16th March 1798). In 1803 the towns were split into two administrative areas (Ceresio and Riva) and integrated in the District of Lugano. Eventually, in 1814, Riva became part of the District of Mendrisio. Agriculture, fishing, manufacturing (mostly handmade bricks) and the silk spinning industry were the main occupations in Riva until the second half of the 20th century. In recent decades, Riva San Vitale has become an industrial town with more housing developments. The importance of agriculture has declined as a result, with the exception of viticulture (Riva wine is still produced with great success) and horticulture.